Think fast! It’s time to go to an outdoor concert with your friends or a park with your kids or a romantic al fresco dinner with your boo. What do you pack for your picnic? You need something light, portable, tasty and healthy… and a crowd pleaser cuz you don’t wanna be that person who brought the last minute convenience store cheese curls. We recently were given some samples of new products guaranteed to liven up your summer adventures and omgee, we had to pack them for our own picnic! Get your potassium on while satisfying the sweet cravings with Barnana. We didn’t really know what to expect but we were pleasantly surprised and happy campers (even Monica liked it since she does not like any banana flavor products). Simply, they are dehydrated bananas with a twist of treat. 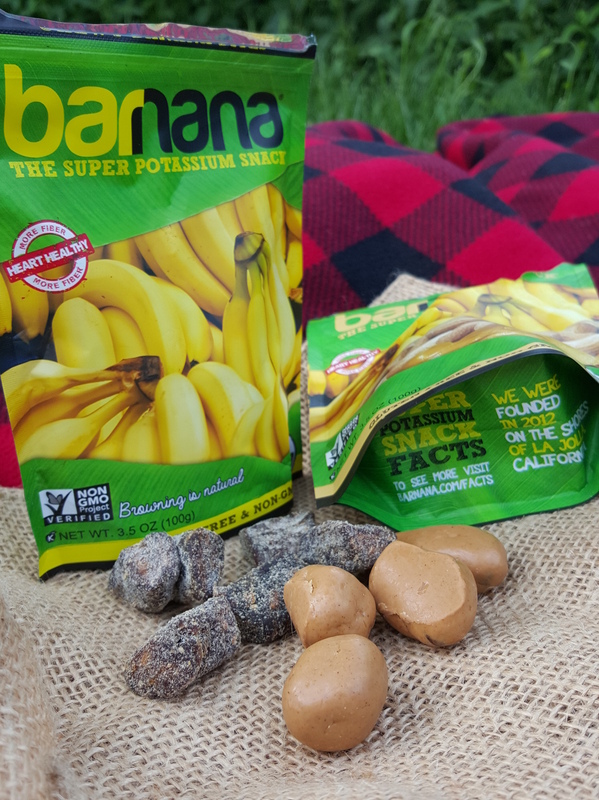 Barnana offers 4 types of munchable banana bites which are Original, Chocolate, Coconut and Peanut Butter. These are organic, gluten free, non GMO and non-dairy heart healthy snacks. Barnana consist of minimal ingredients a.k.a you won’t find a mile long list on the side of the bag. For the purist, original Barnana is like popping mini banana chunks in your mouth. The chocolate Barnanas felt decadent, with a coco shell surrounded the soft banana inside. Tip: mix the chocolate with the peanut butter Barnanas and you will feel like you’re eating an extra healthy peanut butter cup (YES!). The coconut Barnana seemed more like a homemade energy bite with a chewy texture and flakes of coconut. We had guests over, ages ranging from 3 to 50, who quickly depleted our precious coconut Barnana supply. The bites come in a compact package, perfect for backpack carrying. You can purchase all flavors of Barnana online or search for a local vendor. Ditch the greasy bag of potato chips and get classy with the back-packable Tuscan inspired Pasta Chips. 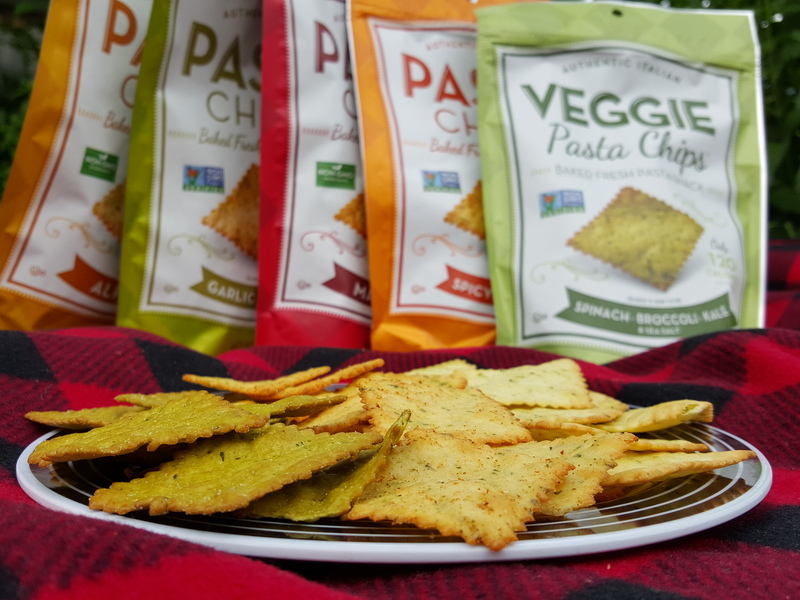 Made with semolina flour and sprinkled with Italian herbs, Pasta Chips pair well with the picnic classics like hummus, dips or the party favorite of Wisconsinites, CHEESE! On our summer picnic to the new Maggie Daley Park, our guests sampled 3 different flavors: Mediterranean Sea Salt, Spicy Tomato Herb and Spinach Broccoli Kale. Spinach Broccoli Kale will please the veggie lover and go well with an artichoke dip. The Spicy Tomato Herb wasn’t so much spicy as much as a pop of zesty tomato flavor. The light flaky texture would be perfect with mozzarella, tomato, basil bites as an appetizer. The Mediterranean Sea Salt could easily knock a potato chip out of the park with it’s crispy crunch and touch of salt. Dab it with french onion dip or an olive tapenade to wow a crowd with your master picnic status. 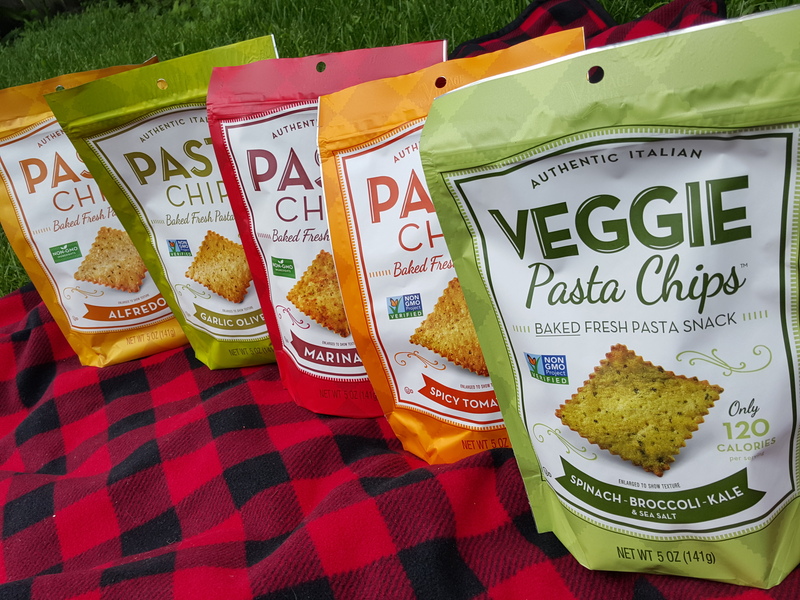 You can purchase Pasta Chips online or we’ve spotted them at Chicagoland Mariano’s. Dear audience, you know there’s nothing like a picnic with your fave friends in a park on a warm summer day. Load up your basket and get ready to Mangia! with Pasta Chips and the seductive yet not sinful Barnana. Where’s your top spot to stop for a picnic? We’ll bring the snacks if you bring the blanket and the boombox (or bluetooth speaker…but that’s not as fun *wink*). Oh boy theose snacks look amazing! I’m gonna have to try them! Thanks ChiOrganic Girls! Awesome suggestions for a summer picnic! Love it!